What Did Anushka Sharma, Katrina Kaif, And Shah Rukh Khan Wear For Zero Trailer Launch? Shah Rukh Khan celebrated his birthday today with a trailer launch of his much-anticipated film, 'Zero', which also stars Anushka Sharma and Katrina Kaif in the lead roles. With the launch, Shah Rukh proved that his work commitments do come first and also there couldn't have been a better day for the launch. The trailer showed 'Zero' as a romantic film in which Shah Rukh plays the role of a dwarf. Coming to the launch event, the ladies were dressed beautifully in their outfits and Shah Rukh donned a casual look. Talking about Anushka's outfit first, she wore a sparkling pink-hued midi dress, which came from the brand, Temperley London. It was a metallic hot pink dress and we thought she looked beyond stunning. Anushka's dress was full-sleeved with an asymmetrical hemline. 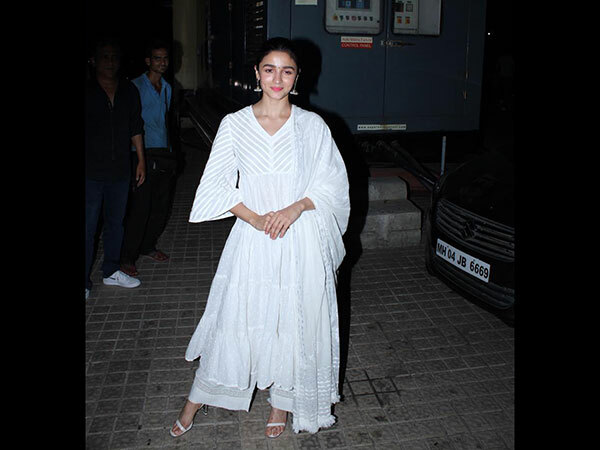 Styled by the ace stylist Anaita Shroff Adajania, she contrasted her pink ensemble with white-hued pencil heels by Alexandre Birman. Her studs came from the label Bansri. Her makeup was subtle and highlighted by a light pink lip shade and smoky kohl. Her impeccable ponytail rounded off her look. Katrina Kaif gave her glamorous look a casual touch with this outfit of hers. The actress also wore a shiny number but her attire was a glittering silver dress that we thought looked amazing. It could have been a shift dress or a sleeveless number, well it was hard to tell as Katrina paired it with a denim jacket. Her jacket featured flared sleeves and looked awesome with her dress. Katrina also paired her ensemble with white-hued pencil heels. The makeup was light and natural and the side-swept tresses completed her look. Shah Rukh wore a shirt that matched with his character's dress sense in the film. He wore a red and white-hued checkered shirt and he paired it with black-hued cargo pants. The actor completed his look with white-coloured sports shoes too. How did you find their outfits? Let us know in the comment section.